Offering you gorgeous, fresh, flowing floral designs for all the events that mark the joyful occasions of your life in Marin county and the San Francisco bay area. 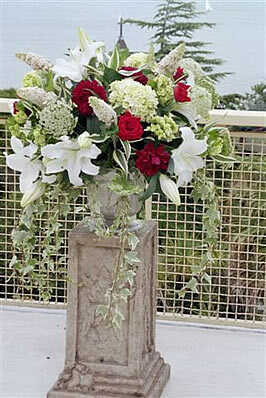 Let us design artistic floral arrangements for your special, personal events. Welcome your guests with style and color - in your home, your business, at your wedding or other special occasion. With fresh, interesting flowers and natural materials, we can set a mood to reflect the ambience of your event. Please contact me for more information and a personalized consultation and quote.